Corsica’s ‘claim to fame’ in the historical scope is obviously related to it being the birthplace of a certain Napoleon Bonaparte. But this present day French island was not really a place of importance in the ancient Roman scheme of things, with the location being the preferred place for political relegation and exiles (along with being an exporter of cheap wines). 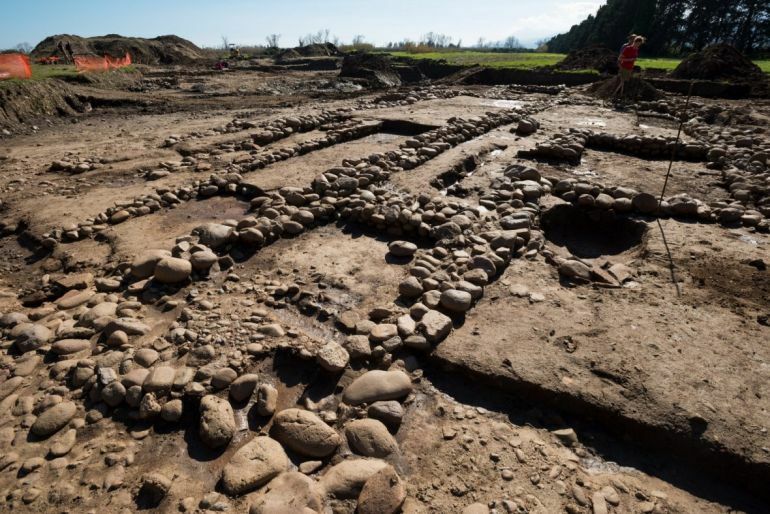 But this time around, National Institute for Preventative Archaeology (INRAP) researchers have unveiled a scope that associates some degree of archaeological (and religious) significance to the Mediterranean island. Their discovery entails an entire sanctuary dedicated to the god Mithras, on the Mariana site at Lucciana. 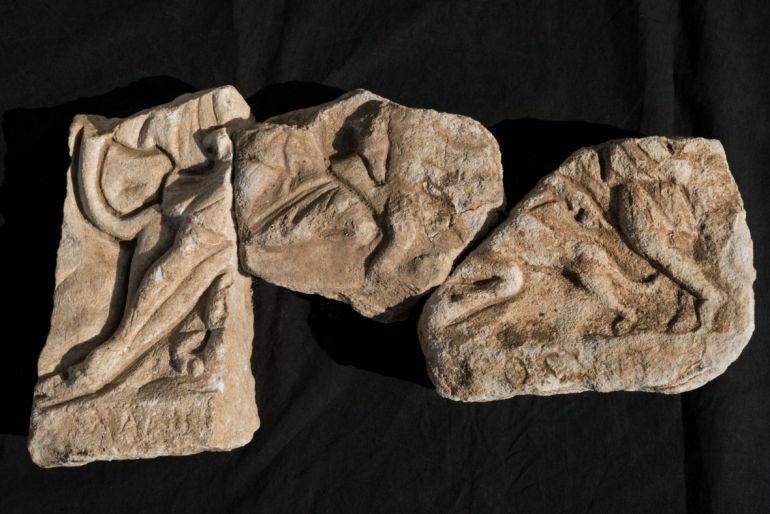 Fragments of a marble bas-relief, depicting Mithras, recovered at the site. In terms of history, Mariana was a military colony composed mostly of Roman citizens, founded (circa 100 BC) by none other than Gaius Marius, the Roman general and statesman responsible for reforming the Roman armies from the previously exclusive manipular systems. By late 3rd or 4th century AD, the settlement probably reached its commercial peak, with the Roman town’s harbor having trade connections to most of the other Mediterranean ports (dominated by the Roman Empire). This is a very rare and exciting find. It is the first time we find evidence that Mithraism was practiced in Corsica. There are only a dozen similar sites known in all of France, the last one having been excavated near the city of Angers in 2010. 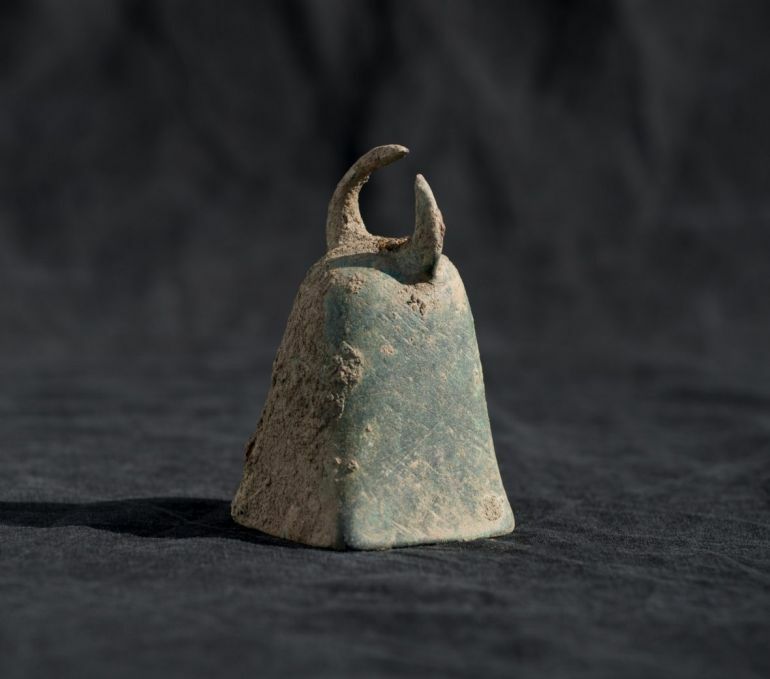 One of the bronze bells recovered at the site. Coming to the spatial features, the aforementioned main hall measures some 590 sq ft (36 x 17 ft), and it comprised a central nave with two extended bench-like constructions (6-ft deep) with vaulted brick niches. One of these niches still housed three fully preserved oil lamps. This discovery was complemented by other finds, including fragments of a marble bas-relief that depicted the typical Mithraism mythological scene involving the god Mithras sacrificing a bull, along with a female head made of marble, bronze bells (pictured above) and glass paste jars. Now historically, Mithraism (also referred to as the Mithraic mysteries) in itself was a mystery religion centered around the Indo-Iranian divine entity Mithras/Mithra. Mainly practiced by the members of the Roman military, the religion (possibly transmitted by the merchants from the east) was primarily introduced into the upper echelons of the society, circa 1st century AD. And by 3rd century, the cult, probably open to only males, percolated into different sections of the society, with one of the major bastions being the eternal city itself – Rome. These male initiates, known as syndexioi, probably met in underground temples called mithraea. Such types of mithraea were spread across different parts of the burgeoning Roman Empire, including varied locations such as Bordeaux, Strasbourg, Biesheim and Angers (where INRAP identified a sanctuary). But unfortunately for Mithraism, Christianity was already rising in popularity by the 4th century AD. The proverbial ‘final nail in the coffin’ was brought forth by Emperor Theodosius, who not only made Christianity the official religion of the empire in 392 AD, but was also ideologically against the rise of the Mithraism cult. To that end, the Mithraic sanctuary at Lucciana does bear marks of damage wrought during the chaotic periods of antiquity – though researchers are still not sure about the exact causes of such destruction. 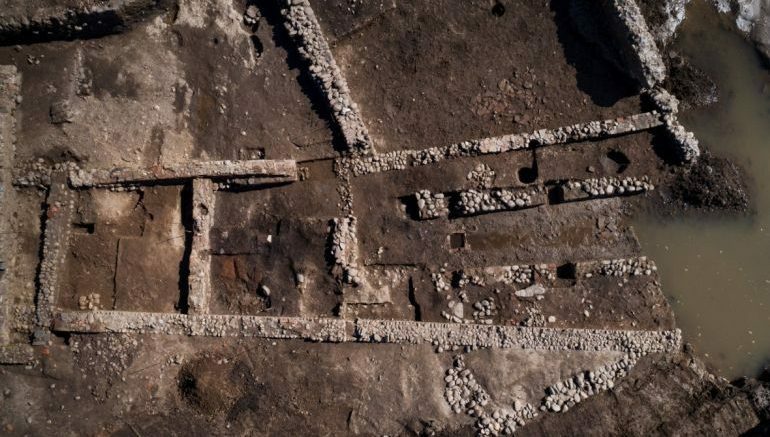 More intriguingly, historians are already aware of a large Paleochristian complex (with its basilica characteristics) that was established at the Mariana site, circa 400 AD. The imposing structure actually pertains to one of the earliest influences of Christianity in Corsica, and as such might have heralded the demise of the Mithraism cult on the island.